Next season's edition of the Fresno State Bulldogs will have a decidedly Canadian Football League-feel to it. A month after naming former BC Lions head coach Jeff Tedford as their head coach, the team has brought aboard Hamilton Tiger-Cats defensive co-ordinator Orlondo Steinauer in the same capacity. The news was first reported by The Hamilton Spectator's Drew Edwards. Steinauer confirmed the news in a video message that was tweeted by the Tiger-Cats. 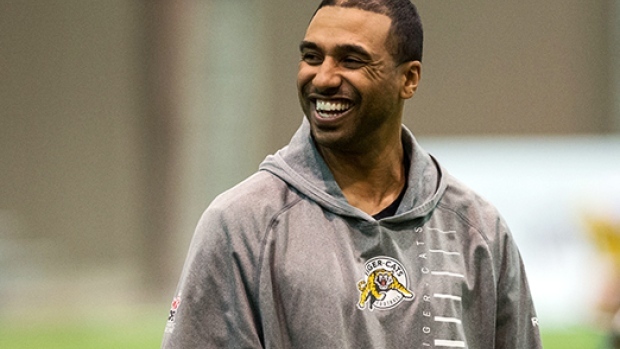 A five-time CFL All-Star as a player, Steinauer has served as the Ticats defensive co-ordinator since 2013. A 13-year CFL pro with the Ottawa Rough Riders, Ticats and Toronto Argonauts, Steinauer jumped into the coaching coaching shortly after retiring as a player in 2008. Hired as the Argos' defensive backs coach in 2010, the native of Seattle was promoted to defensive co-ordinator upon the firing of Chip Garber midway through the 2011 season. He served as the club's defensive backs coach again in 2012 under Scott Milanovich before jumping to the Ticats in 2013. As a player, Steinauer won Grey Cups in 1999 and 2004. Tedford and Steinauer inherit a team that finished 1-11 in 2016, including a winless 0-8 in Mountain West Conference play. The Bulldogs finished last in the MWC's West Division.